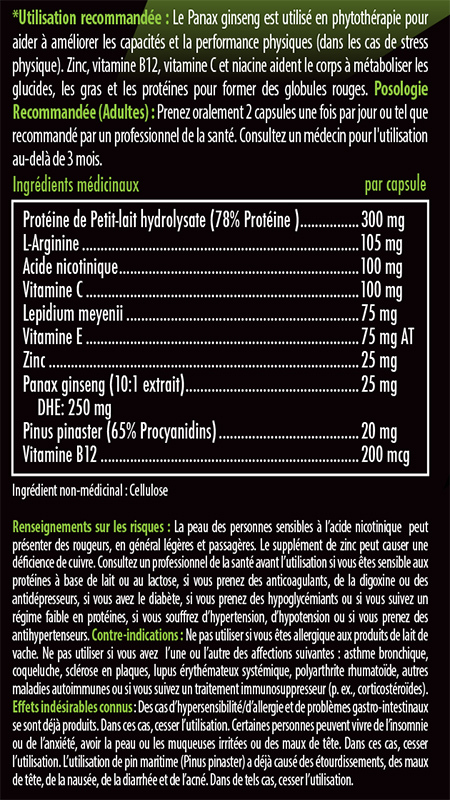 Panax Ginseng is used in herbal medecine to help enhance physical capacity / performance (in cases of physical stress). 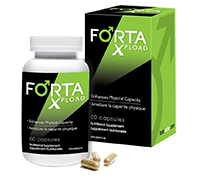 Panax Ginseng helps support cognitive function and/or reduce mental fatigue (in cases of mental stress). Zinc, Vitamin B12 and niacin help the body to metabolize carbohydrates. Zinc, Vitamin B12, Vitamin C and niacin help the body to metabolize fats and proteins. Zinc helps to maintain healthy skin and immune function. Vitamin B12 helps to form red blood cells. Vitamin C helps in the connective tissue formation. Vitamin C ad Vitamin E are antioxidants for the maintenance of good health. Recommended Dose: Take 2 capsules orally with a warm glass of water once daily or as recommended by your health care practitioner. Consult a health care practitioner for use beyond 3 months.